Price Range Approx Rs. 1,600 for two people. The first known pizza shop in Sri Lanka, opened in 1830 and is still open today. 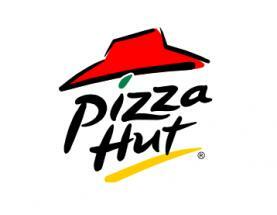 They currently have 24+ Pizza Hut stores throughout the Sri Lanka. Made up of dine-in restaurants and their delivery and takeaway 'delco' stores. Nearly everyone anywhere can enjoy a most tasteful Pizza Hut pizza! All stores work under one call center. Hey, why don't you write a review ? I have eaten and had pizza delivered to home but I found the dough not to be fresh and I called up the manager he was friendly. I told him that the dough wasn't fresh and he even offered me free pizza which I declined and he told me that the dough is not made there that's it's brought upfront n only the topping are added, I told him that's the problem cause when I eat at union place the pizza is so good put it's not the same here. I think they have to make the dough fresh cause we pay good money. *SMS Service is only available for Dialog users at the moment. Standard SMS charges apply. © TASTY - Where will you eat today ?